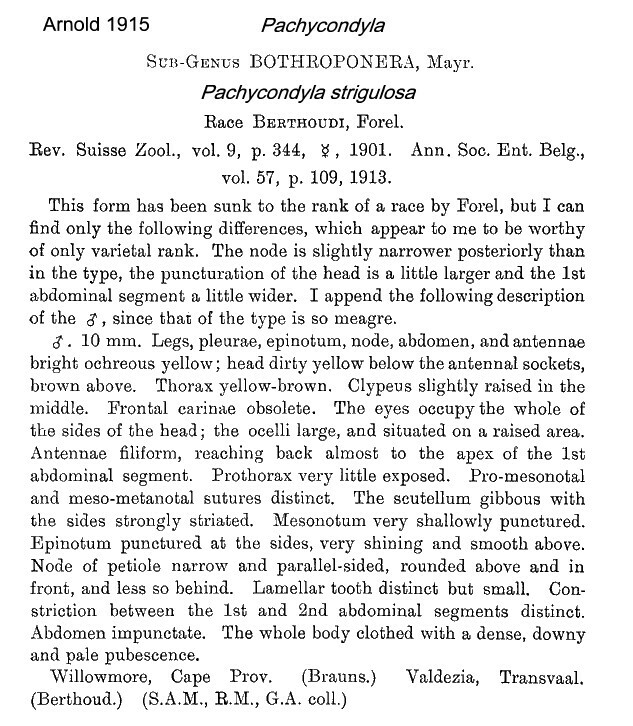 Type location South Africa (Bothroponera strigulosa n. 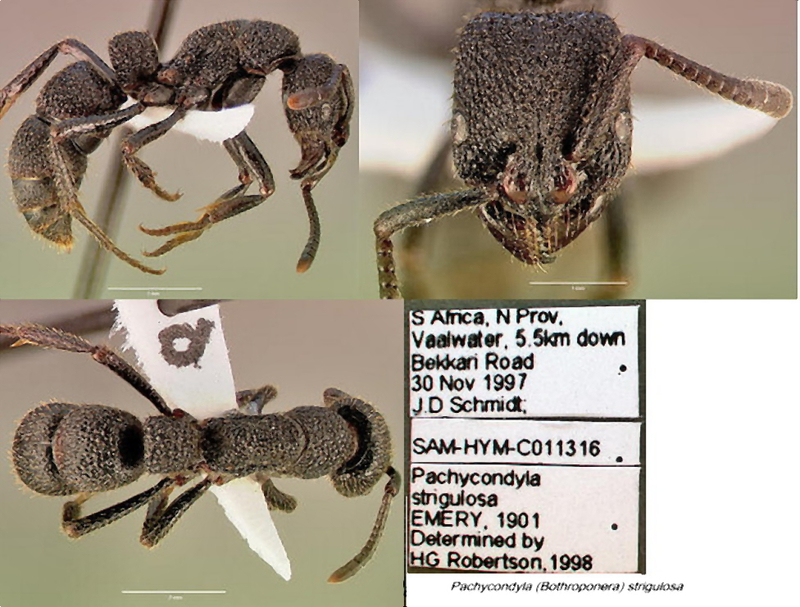 sp., Emery, 1895h: 19, worker; in Pachycondyla, Bolton, 1995: 310; status revived Schmidt & Shattuck, 2014: 76) Kimberley - no images on Antweb (June 2014). worker only described (see Bolton, 1995) . 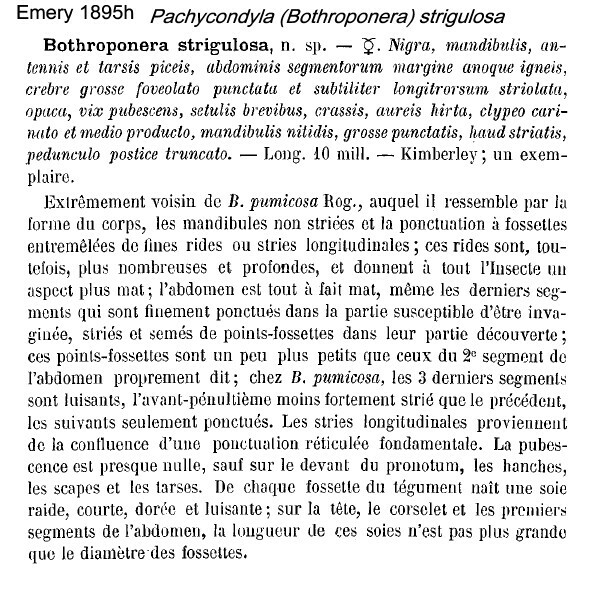 Emery's (1895h) description is at . Arnold (1915: 61) gave a translation; this is at . 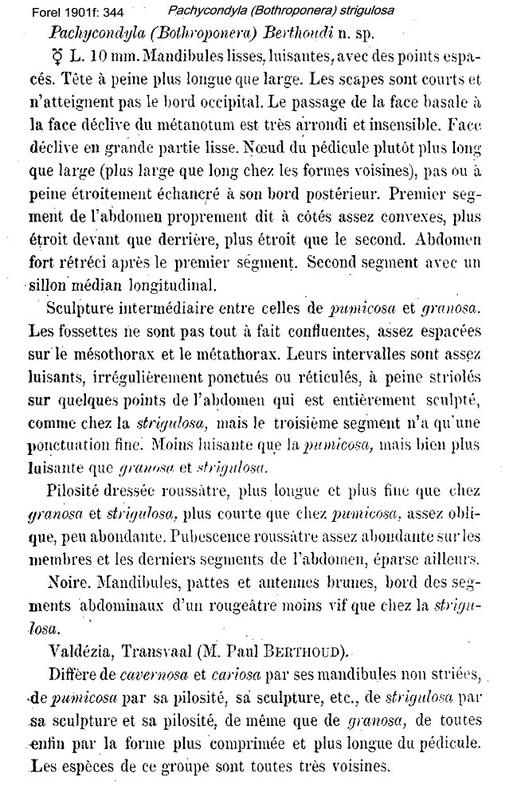 Forel's (1901f) description of berthoudi is at . 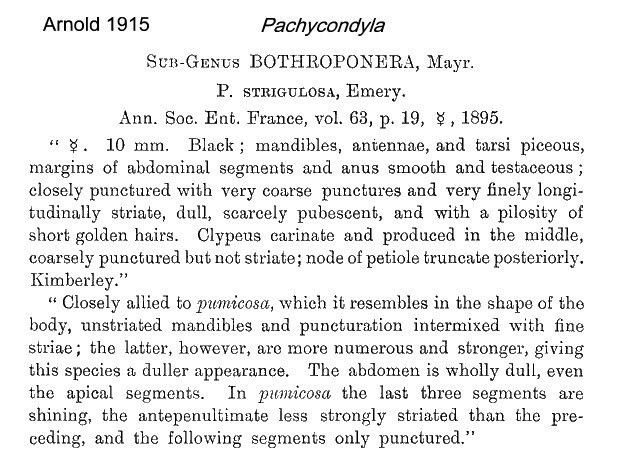 Arnold (1915: 63) gave a translation of berthoudi (as a race of pumicosa), this is at . The photomontage of the type worker of berthoudi is collated from http://www.antweb.org/specimen.do?name=casent0907251 .